A new Japanese and Asian fusion spot has made its debut in the neighborhood. Located at 1608 Sansom St. in Rittenhouse, the newcomer is called Seattle Teriyaki. Owner and Seattle native Tammin Kim, who's lived in Philly since 2004, "had a dream to bring the comfort food of his childhood to his new home," reports Billy Penn. Try out traditional Seattle teriyaki dishes with chicken, steak or tofu and pair it with a six-pack of fried dumplings. 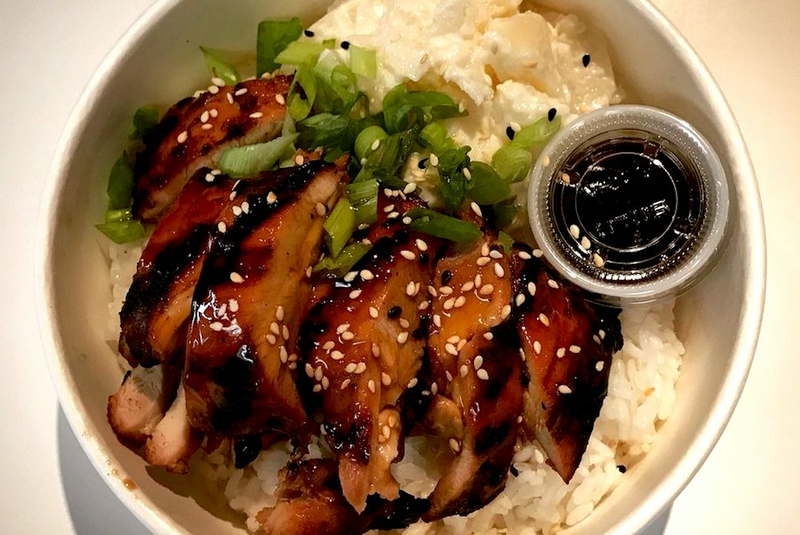 Teriyaki bowls are served with steamed rice and potato salad, but diners can sub in brown rice for $1 and add extra meat for $3. Check out the menu here. Seattle Teriyaki is off to a promising start with a 4.5-star rating out of three reviews on Yelp. Sara W., who reviewed the eatery on Aug. 3, wrote, "I left Seattle five years ago and have been on the hunt for decent teriyaki ever since. ... This place is legit. The meat is grilled and the sauce is thick and exploding with flavor." Yelper Curtis A. added, "The folks inside were super friendly and the meal was ready quick. The steak was quality. Not sliced bits of mystery beef, but hearty, beefy steak with a bit of pink left in center, thankfully. The beef was well seasoned, not overly chewy and the rice was perfectly cooked."